> by other Spam filters as well as mine). > supposed to work on adoption issues for just one or two days a week. I didn’t know you were so limited on the time you’re supposed to spend working on adoption issues, given your (sorry, but it’s appalling) title of Adoption Czar. I did also imagine you would have at least some staff aiding you in your task, however, the nudge on Twitter to reply was, as much as anything, to let you know the email had been sent. After all, there would be little point emailing you again to ask if you had received it, because if you hadn’t, then chances are you would also not receive the prompt asking such. I apologise, however, if it came across as demanding an immediate response (a “yes I’ve got it, I’m working on it” reply on Twitter would have sufficed – but of course, you weren’t to know that). Your sentence following ^this aside, can you please enlighten me on why you – our famed Adoption Czar – can not help with such a thing? Only, it seems to me that such a thing could easily be integrated into any improvements you plan on making to the current adoption system, as it would simply be yet another improvement made. Thus if our famed Adoption Czar can not help change adoption for the better, then surely your role is essentially redundant? If that were true, then I would have no qualm with adoption – however, it is patently false that at the age 18, adoption has essentially expired. We remain adopted for the entirety of our lives, once adoption has occurred, and yes, even as adults, our adopters can – should they wish – restrain our behaviour. The following examples highlight instances of where the adopted remain – even as adults – perpetually infantilised by their adoptee status. Contrary to popular belief, not all adopters are suitable parents, and some are overtly abusive to the children they adopt. Further, even those who are generally suitable as parents, may in fact be abusive in ways are not currently recognised as being abusive – such as attempting to prevent the adoptee from even contemplating reunion with their genealogical relatives by demonstrating that their feelings would be incredibly hurt by such. It is for this reason that many adoptees – including Michael Gove (who explained exactly this in his interview available at http://www.dailymail.co.uk/debate/election/article-1268403/MICHAEL-GOVE-My-birth-mother-knows-I-Ill-try-track-down.html ) – suppress their own entirely natural desire to seek out the genetic reflection necessary for the healthy development of the personality that can be found from reuniting with their genealogical relatives. Even where adopters (nor the wider adoptive family) do not emphasise this, the adoptee remains pressured by socialisation to not reunite – with those doing so being described as “bad adoptees” or “ungrateful”. Again, Mr Gove’s interview gives an example of this, as he shares that his adoptive mom has previously informed him that “My mother has always said if I want to [trace her] I should”, yet he still says that “I know, though, that she would take it as an indication that I did not feel my life or upbringing was fulfilled”. Whilst it is understandable that there may be apprehension and wariness of the unknown (especially for those removed through Social Services’ interventions), being perpetually forced into the role of a child results in many adoptees negating their own needs in order to satisfy what they have been taught is the ‘right’ way to behave as a grateful adoptee. Adoption is the legal severance of a child from one family, whilst grafting that child legally on to a different family, in the main for whom they are not I any other way related to. As adults, these adoptees remain legally severed from their own genealogical relatives, despite the fact that they may live with them. Indeed, I am aware of some older adult adoptees who were expelled from their adopters’ homes at 15 years old, and who have spent the intervening decades living with and amongst only their own genealogical relatives, having absolutely no contact what-so-ever with any of their sill-legally related adoptive families. Yet should anything happen to those adoptees, it is the still-legally related adoptive families whose preferences would be taken into account should any decisions need to be made regarding those adult adoptees, despite the fact that they abandoned the adoptee before adulthood *and* that the adoptee has spent the intervening years encompassed within their genealogical relatives. 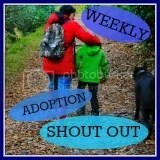 It is for these people that the ability for adoptees to be able to annul THEIR OWN adoptions is necessary. This example stems from my own personal circumstances. I lost my genealogical family connections at seven months old because Social Services wanted to put me into foster care (yet strangely, they didn’t want to remove my half-sister, who was 18 months older). In order to “save” me from “bouncing around” foster care (her words), my mom asked around friends and family to find out if there was anyone who would be willing to take me in for adoption. Thus, the Saturday before the Wednesday that Social Services were planning on removing me, the couple who eventually adopted me turned up following a telephone call to their next-door neighbour (the sister of a friend of my mom’s friend) to decide if they wanted to take me on “as if” I was “their own” (which is what adoption implies). As they had been unable to produce a child of their own they had already been seeking to adopt, and had recently been “scammed” by someone who eventually gave the boy they were planning on adopting to a different family. Thus, they decided that I would be a suitable replacement for both the child that they had been unable to produce between themselves and that the boy that they had hoped to adopt, and took me away immediately, and the adoption order was granted six months later. The day that I was taken away from my mom and my sister was the last time I saw anyone to whom I am genealogically related (other than my own daughter whom I bore at 18 years old), until I entered reunion at 37 years old. Following reunion, I discovered that in addition to my maternal older sister (whose existence I was only informed of at the age of 17 whilst my adoptive mom was enraged at discovering I was pregnant with my daughter), I also have a younger maternal brother. Due to the appalling state of the bedsit in which my brother was living, at the beginning of this year, my brother moved in with us (again – he originally moved in within four months of reunion, but moved out to take on the bedsit that turned out to be in horrendous condition). This brings me to my final point in this section. Under the Mental Health Act 1983 (MHA), Nearest Relative (NR) is a default designation that is applied to family. As my maternal half-brother is living with us, were he to be taken into (adult) care under this act, I would usually become his default NR due to our sibling relationship. However, because I am adopted, we are no longer legally related, thus any decisions that would need to be made would automatically default back to our mom, who abused both my siblings enough that either of them being detained under MHA is not beyond the realms of possibility (I am also suffering similarly, but from being adopted rather than from not being adopted). If I were able to annul my own adoption, this horrific state of affairs would no longer be true as my brother and I would share a legally recognised sibling relationship. In addition to this point, were ANY of my genealogical relatives admitted to hospital, because I am no longer legally related to ANY of them, it is entirely possible that the hospital could refuse me entry to see any relative, as I am unable to provide ANY proof of our relationship. Further, the converse would be true were I myself to be admitted to a hospital, with it being possible for my genealogical relatives to be barred from seeing me due to our lack of legal relationship. Thus, as you see, adoption does NOT “essentially expire”, and continues to create problems for both adoptees and our genealogical kin far into adulthood – hence the necessity for it to become possible for adoptees to annul THEIR OWN adoptions *should THEY CHOOSE to*, because yes, our adopters can, should they wish, still control our lives. Oh, I will. Whilst I may feel like I am forever pounding my head upon a brick wall with not a soul listening except thousands of other adoptees who also experience these problems, I will continue to fight because if no-one fights for it, then those who remain unaffected by these issues may never learn that these issues exist for us. > petition has only 37 supporters. No, I don’t expect to get anywhere near the number of signatures necessary to get my petition heard in Parliament, but this is far more to do with the general public’s perception that adoption is all sunshine and rainbows. Whilst I already suspected such would be the case (due to interactions I’ve previously experienced around the Internet), this has been confirmed by some of the responses my posting the link to the petition has garnered, and so I do have a FAQ post under construction detailing some of my responses to the criticisms (and insults) that have been aimed at the petition itself, as well as at myself for daring to want such a change. Unfortunately, both living life and coping with Post-Traumatic Stress Disorder due to adoption has hindered my writing skills somewhat – although constructing this response has aided in clarifying even more of some of my ideas, so hopefully the FAQ won’t take too much longer to produce (once I have completed cleaning up http://7rin-on-adoption.dreamwidth.org/ which has been created as a repository for adoption-related information). Please do not presume that every comment I have made about you has been equally as courteous. I do not deny that I have made comments far more vindictive towards you than either Mr Hemming or Mr Lonsdale have shared on Twitter. I just don’t think somewhere ‘public’ like Twitter is the place for such displays, though obviously their opinion is otherwise. > you it undermines you to suggest that is always the case. > reservations about it which you may have. That I may have? I understand that you’re saying my language goes too far in my expressions, but the latter half of your sentence has confused me. Feel free to rephrase if the following part fails to answer what you’re commenting on though. Whilst I actually am aware that not every single adoption is unwanted (indeed, I actually assisted a friend who had been a long-term foster parent to two youths in his fight to adopt them because that is what the youths in question wanted), if no-one is seen to be complaining about nor suffering from $subject, then change is not deemed necessary. Unfortunately then, without extremists highlighting the worst case scenarios, it is extremely unlikely that necessary changes will occur within that subject. Thus, I speak in extremes in the majority of my Internet interactions in order to bring attention to the issues, but (as I’m hoping this email to you demonstrates), I am capable of rational discussion on an issue without being quite so extreme, as within a rational discussion, both sides *should* be able to listen to each other far more easily than in general interactions on social media. > stability and compensates for that neglect. And therein lies the problem; the belief that adoption _does_ bring stability, *and* that it _does_ compensate. Again, it is part of the socialisation aspects popularising adoption, while negating the actual real everyday issues that adoptive families face, the same as every other family. Adopters – especially in the current economical situation – are as prone to job loss, and death, and divorce, and the myriad other issues that occur throughout life. Further, the very societal insistence that “adoption is good” adds even greater pressure to the adoptee, since it means that even those who are abused by their adopters (I know several adoptees who were physically, sexually, and mentally abused by their adoptive families) are still expected to proclaim the joys of adoption. Adoption doesn’t make life better, it just makes it different. I was no better off growing up away from my genetic relatives than I would have been growing up with them, despite the fact that my kept maternal siblings suffered recognised abuse, while I was raised by a decent family. Closed adoption is ultimately destructive, and I have seen no indication that you desire to move away from as closed an adoption system as possible – however I am willing to be corrected upon this perception. This also highlights how difficult talking about “adoption” is. Research into open adoption may show far different outcomes than research into closed adoption, yet it all categorised as “research supports the view that adoption is good”, while not delineating between which aspects are relative to what. I say adoption is abhorrent, you say adoption is great – nowhere in those sentences is enough information to tell if we are discussing remotely similar circumstances other than that the child involved can use an adoption certificate for identification purposes. This is just another reason why I believe that adopted adults should be given the choice as to whether or not *they* want their adoption to be “forever”. > Research around adoption is very clear about that. Unfortunately, the vast majority of that research is funded by those with a vested interest in the continuation of the trade in children. In example, how many of the books on http://adoptionmania.wordpress.com/2012/02/25/recommended-reading/ have you read? My guess would be not a single one of them (though I am always happy to be proven wrong about such things), yet these are books that are strongly recommended by adoptees as these are books that deal with the traumas of adoption in a far more honest manner than a single article or book that I have seen from (for example) BAAF. Indeed, BAAF, Adoption UK, TACT, etc. not only produce adoptER centric material, the adoptEE material they produce do nothing more than reiterate the message that adoptees are “special” and “chosen” and “lucky” – even in the writings that directly state that these things are not the case, they still manage to make the adoptee seem to need to feel grateful for being “rescued” (regardless of circumstance). Please, talk to people like Nancy Newton Verrier (see http://nancyverrier.com/about-the-author-nancy-verrier/ for more details) as the research from such as she is far more realistic than that put out by BAAF, Adoption UK, TACT, etc. > for us to intervene more promptly on neglect cases. This is a conflation of issues though. Child protection can be done without the legal annihilation that is inflicted by adoption. This is why we have other measures such as Legal Guardianship. This is something I covered in my post over at https://adoptedintheuk.wordpress.com/2012/10/04/who-wants-to-take-bets-on-whether-i-presumed-correctly/ that was posted last night. > on Twitter, including some from someone who works for Mr Hemming). Whilst I understand that you personally cannot look into each and every case – why not make it possible for cases to be presented to a TRULY independent body in order for their merit to be assessed? After all, with Social Workers under such pressures as they currently claim to be (a claim I am not denying may contain a vast amount of truth), then surely a system in which issues can be referred elsewhere will both free up time from those SWers who are having to try to repeatedly fight the same problems over and over, and give the public a far greater confidence in the work actually carried out? I do sincerely detest the idea of children being removed for “at risk of future emotional harm” however, as removing children period inflicts emotional harm. This particular phrasing is something I will not fail to fight against, as it does NOT protect the very children it is claimed to be helping, but DOES inflict the emotional harm that is supposed to be being prevented in the first place. My apologies – however, it was incredibly frustrating to see you responding to John Hemming and co’s insults, whilst seeming to ignore my own very un-insulting request for support for my ePetition. Even had it only been a short reply to say “I’ll look into it” or “email me to discuss this as Twitter’s not a suitable place to be able to discuss this”, it would have been better than no reply at all. In reference to the talking to other adult adoptees, I would question whether those adoptees are in denial of the problems created by adoption, such as Mr Gove (as covered elsewhere), or whether they accept that there are issues within adoption? An example of alternative perspective to those in denial of the issues can be found at http://yoonsblur.blogspot.co.uk/2010/07/sole-trauma-is-loss-that-occurs-before.html for comparison. > with me about adoption. Which aspects though? There’s a difference between disagreeing about minor issues such as the time-scale that X should happen within, than about whether it should exist at all. > serves the interests of those he claims to represent. Oh, fret not. I’m well aware of whose interests Mr Hemming serves, however, up until I found the FFJ types at the start of this year, I felt like a bit of a lone voice in the UK. Previously, the only other people I had found interested in discussing the deep psychological impact that adoption has upon the person tended to be American adoptees. American adoptees, in the majority of states, have far less ‘rights’ than UK adoptees, and thus has engendered a far larger ‘movement’ towards fighting for adoption reform. Please note, I’m in no way suggesting that children should be left within abusive situations – this is again a conflation of the issues of child protection with adoption, a common mistake that is encountered by many attempting to highlight the issues facing adoptees. I am only suggesting that the ADULT adoptee is given a choice as to whether or not they wish to remain adopted. Surely it is of little relevance whether the adoptee chooses to or not, since, as you yourself have said, “adoption essentially expires at 18 years of age” anyway? Thus, making it legal for an adoptee to annul their own adoption can only be beneficial to the system, as it means that it is not a permanent solution inflicted on someone who was in no position to give THEIR OWN consent to such legal annihilation. Sincerest thanks for your considered reply, and I ask that we may please continue this dialogue? Whilst it may ultimately prove fruitless (from my perspective), I would far rather exhaust the discussion completely and retire knowing that at least we did try to find solutions, than to just have my very real and valid concerns dismissed as a one-off rarity. I am not a one-off, rare, special case. I didn’t have a “bad” adoption, nor did I suffer from an awful adoptive family – yet adoption still did not leave me (nor many others) any “better off” than any kept and abused siblings – it simply gave us different problems to deal with that are currently unrecognised by the majority of society. This results in us being further traumatised as – unlike our kept and abused siblings – our traumas are dismissed as nothing more than us “having a bad experience”. As a final note, I will be pasting this reply of mine to you into a post on my site, http://adoptedintheuk.co.uk/ – not in an attempt to discredit you, nor show you up, nor any such thing, but (a) because it demonstrates that I was wrong and that you actually do talk to adoptees, and (b) helps explain some of my own ideas, thoughts and suggestions without having to write separate posts out. Whilst I have no problems with putting completely new posts on the site, I find it redundant to re-write something already explained elsewhere.